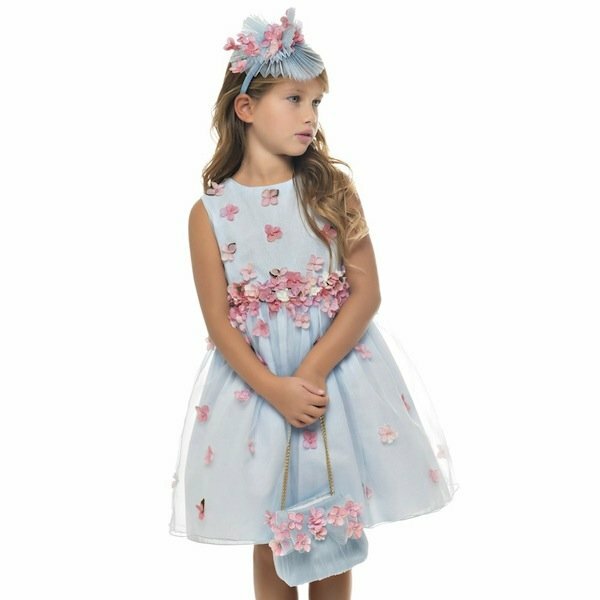 Girls stunning pale yellow sleeveless dress by Lesy Luxury Flower, a collection made to celebrate the 50th anniversary of this brand. Made from a cotton blend taffeta, it has a full circle skirt, lined with stiff tulle giving it a flared shape and finished with delicate blue and white flowers on the hem and at the shoulder. Adorable Summer Look for girls by famous Italian Girls Fashion House. Ships Worldwide.